During the past three decades anecdotal reports and research studies suggestive of a connection between imagery/emotions and improved physical functioning have been visible (Klopfer, 1957; Simonton et al. 1978; Cousins,1976, LeShan, 1958; etc.). In the past decade studies have been tightening, and a scientifically viable body of literature on the mind/body connection is building (e.g., Kiecolt-Glaser et al., 19;87 Ader, 1981; Rossi & Cheek, 1988; Green Green, 1986; Hall, 1983; McClelland, 1988; Achterberg & Lawlis, 1984; Schneider et al., 1984; Norris, 1988; Speigel et al., 1989) The literature in sports psychology, psychology of self esteem, stress management, and psychotherapy (Sheikh, 1983) indicates that imagery can be an effective strategy in a wide range of aspects of a person’s life. 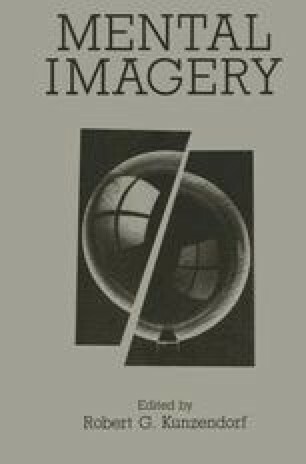 Norris (1988), among others, suggests that imagery is the blueprint for all voluntary behaviors and exerts a preeminent influence on involuntary physical, emotional and mental behavior.